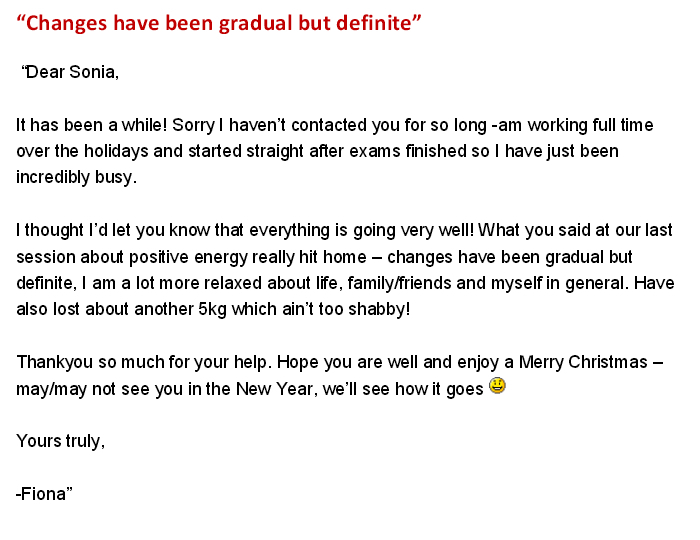 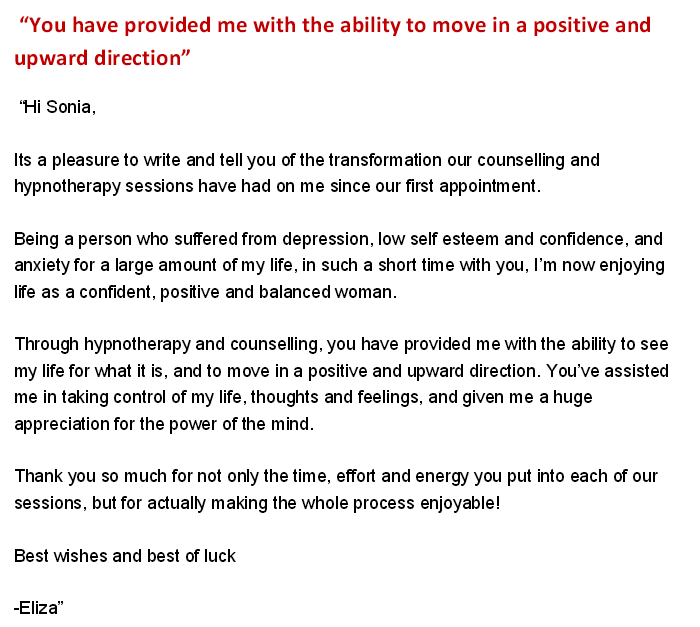 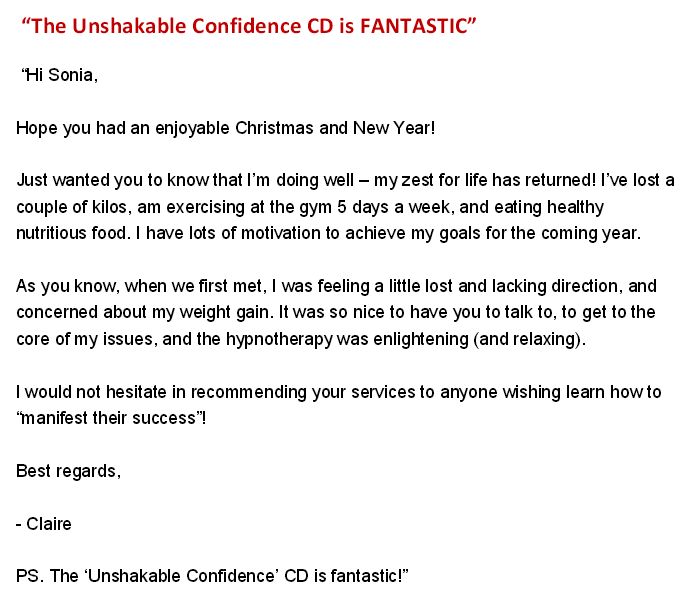 This is the page where you get to see how all the hard work of my hypnotherapy clients has paid off. 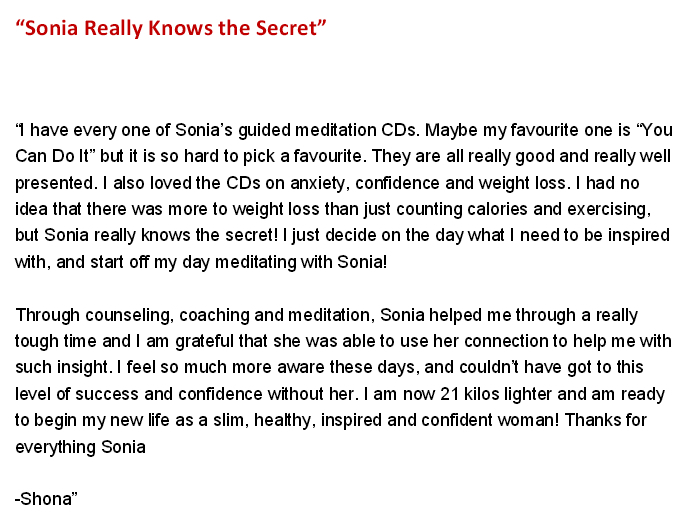 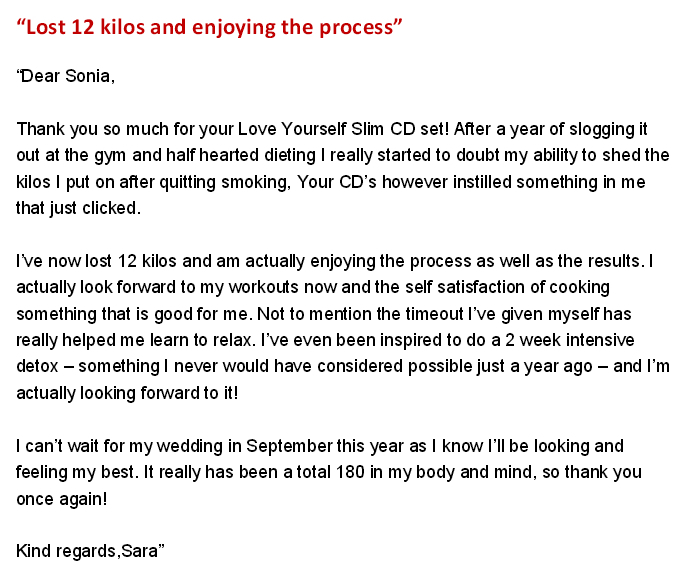 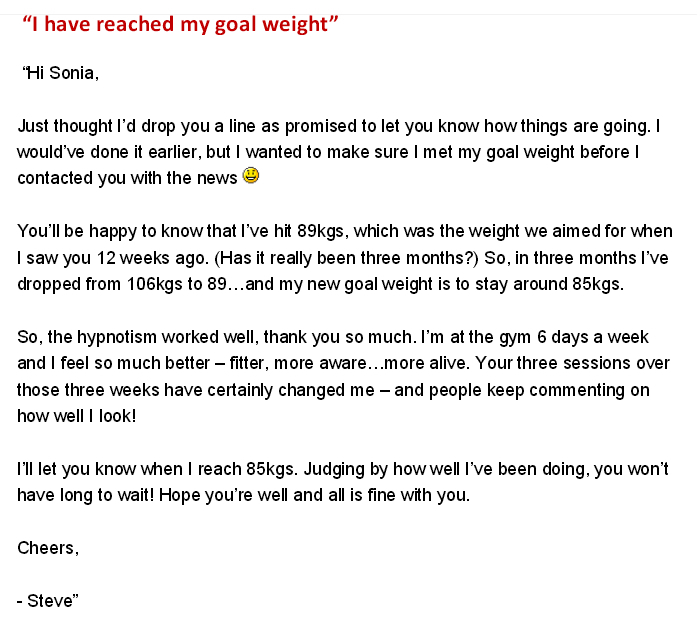 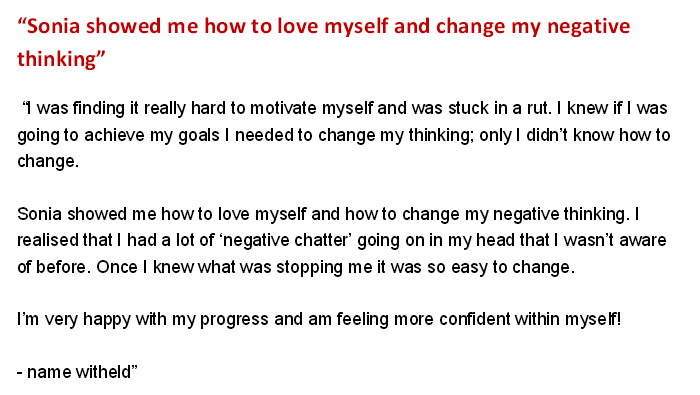 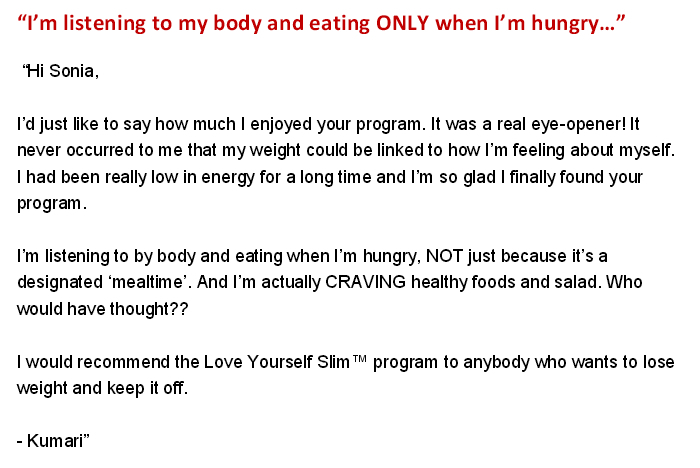 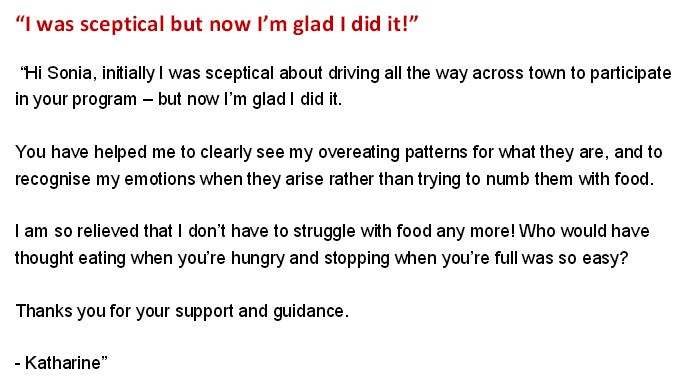 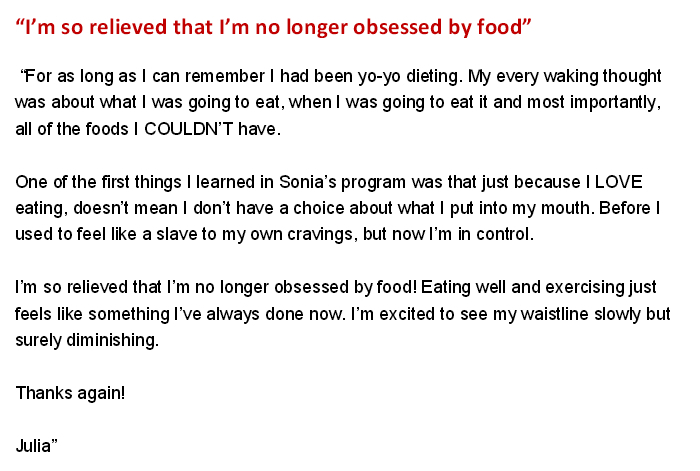 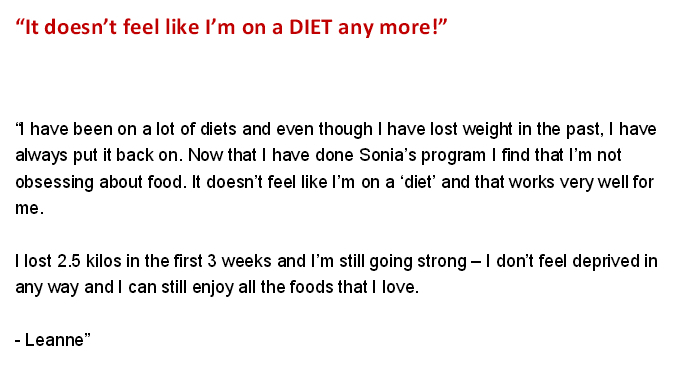 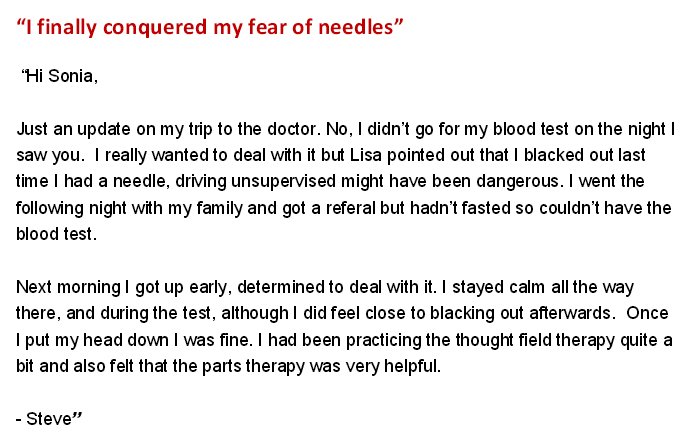 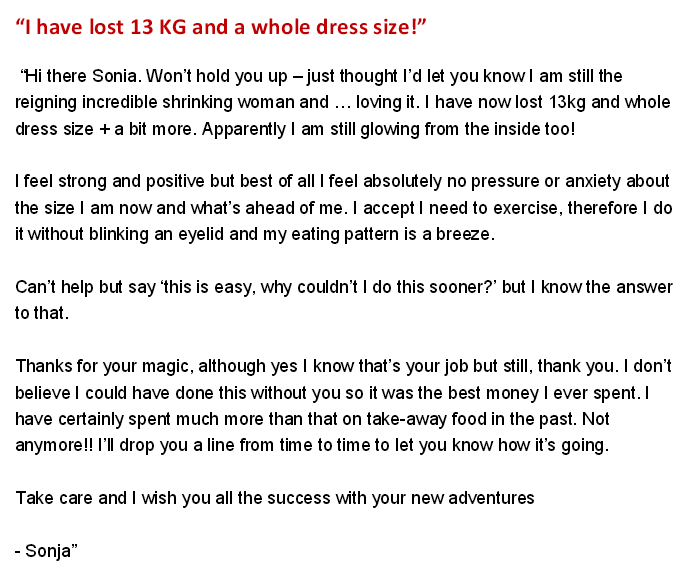 I know these testimonials are from people in Melbourne who believe I have done a great job, but really all I did was empower these people to help themselves. 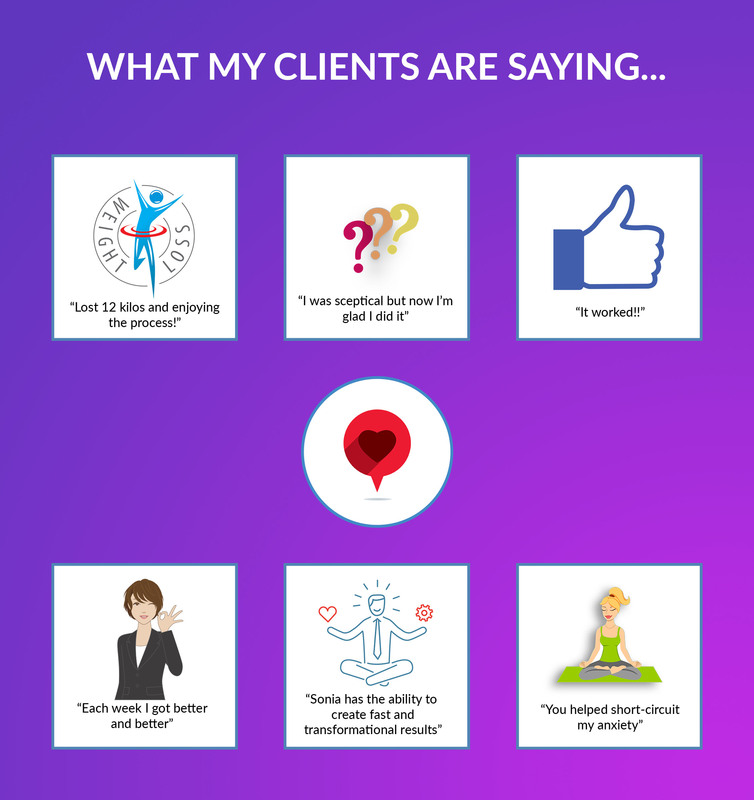 The role of a hypnotherapist is not to ‘fix’ the client, but to make them self-sufficient, so that they no longer need therapy. 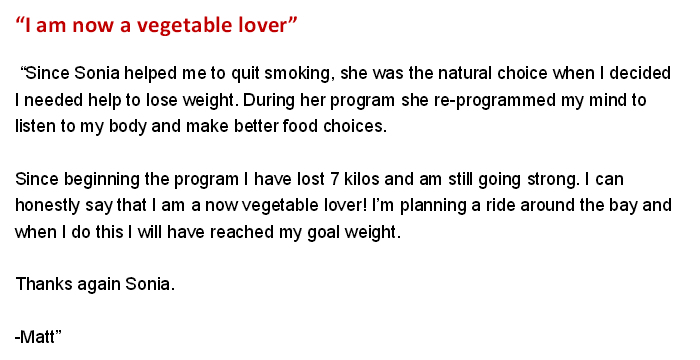 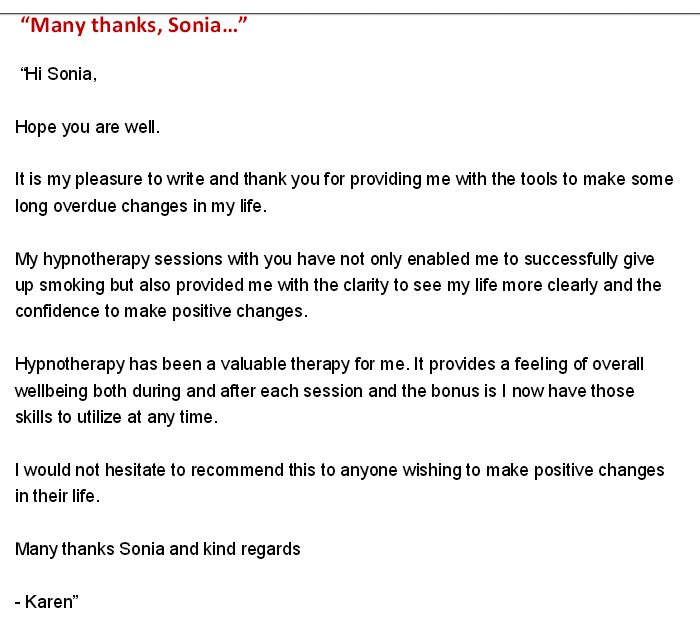 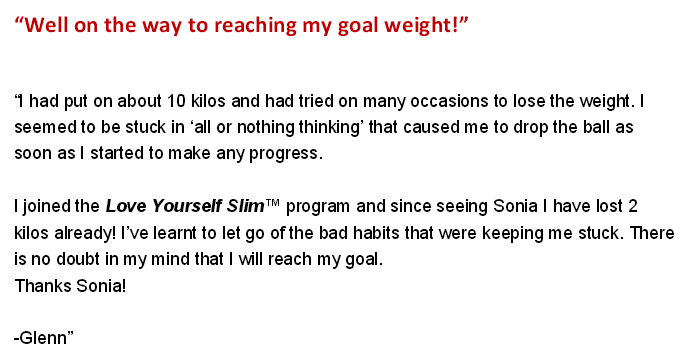 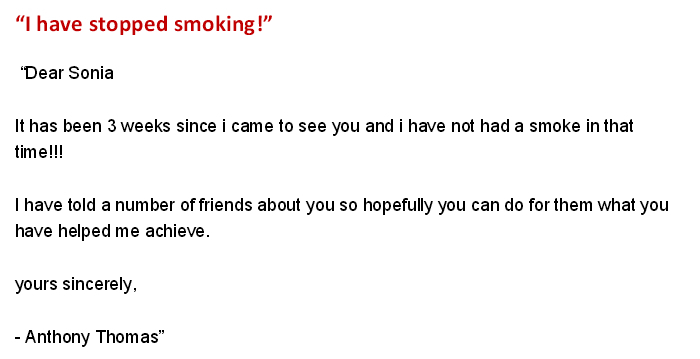 The link below shows you various testimonials from clients who participated in my weight loss hypnotherapy program, stop smoking hypnosis program as well as clients who saw me for individual issues. 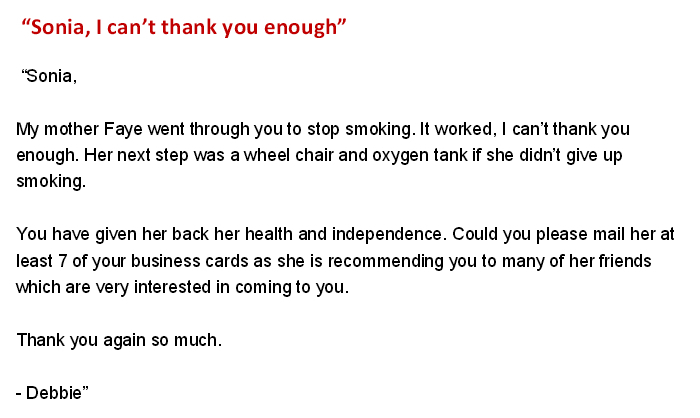 So have a browse of the testimonials below. 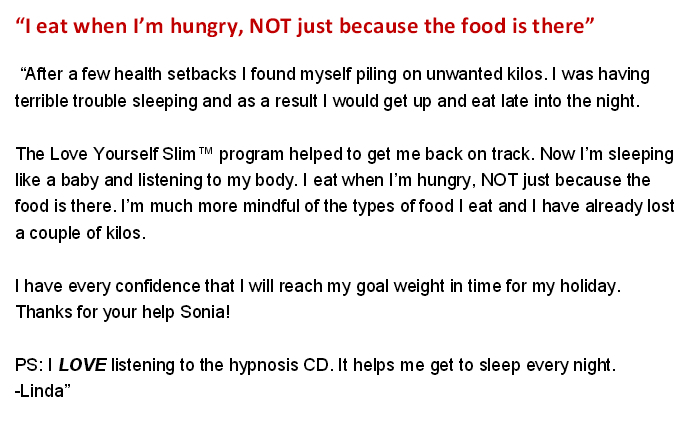 In the meantime if you would like to contact me to talk about your needs, feel free to do so via my contact page.